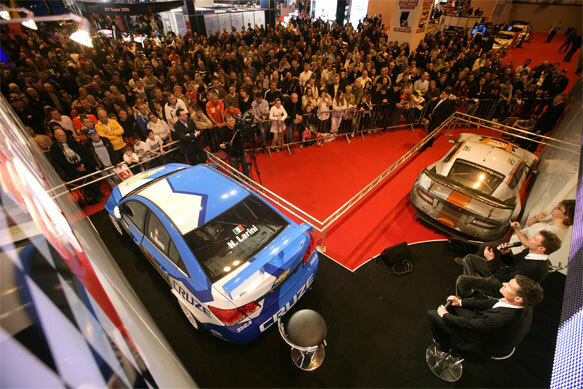 When the 20th AUTOSPORT International show at Birmingham's NEC fires the motor racing calendar into life on January 14th, it will be celebrating a British motorsport industry in full bloom. For the second year in succession Britain hails the Formula 1 world champion as its own, and now that title holder Jenson Button has joined his predecessor Lewis Hamilton at McLaren, UK fans can rightly expect to throw their weight behind an exciting all-British super-team in 2010. Even the Mercedes engine that powers the MP4-25 next year will have been built in Brixworth. On top of that, those same fans can travel to Silverstone in July to watch their heroes in the confident knowledge that finally, 'their' grand prix is safe. And not just for next year, but potentially the next 17. Yes, it's fair to say that British motorsport is in rude health. So if you're coming to ASI in January, whether it be on the two trade days, or the public days on the 16th and 17th, you can fully expect an upbeat roll of guests, not least Jenson himself, to entertain the AUTOSPORT Central Stage. But are we right to consider these halcyon days for UK motorsport? Are two world champions in succession enough evidence that things couldn't be better? After all, they are also the only two British drivers on the F1 grid currently, as was also the case through 2009. 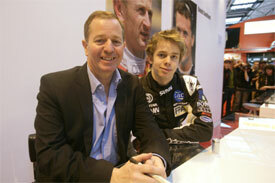 BBC commentator, former Formula 1 driver and former BRDC chairman Martin Brundle, who will also be a guest star at ASI, reckons that while things are good, British motorsport must not rest on its laurels and that more must be done to ensure the talent train keeps stopping at the station. "We have two British world champions consecutively, thank goodness, but we have only got two on the grid," he says. "There was I time I remember when we had five or six. "If you look back through Formula 1 history we have always had a lot of British Formula 1 drivers and we have had a lot of success. "The way I think about what it means for the media, the BBC, anybody doing new deals for the future is that this is a purple patch because we have had Lewis and Jenson and it looks like we could have a world champion for some years to come. But then you have to also think that if Jenson had dropped out at the start of the year and Brawn hadn't got it together – which was touch and go – that would have left just Lewis having a miserable season with a difficult car. "Then you look over their shoulders and say right, who's coming next? There are a lot of good kids coming along and there are a lot of initiatives like the MSA, BRDC, Racing Steps. So I'm not unduly concerned, but I don't think you can read Jenson and Lewis means we've aced it on British drivers – far from it. I think we need to do more." Brundle, like everyone in British motorsport, is mightily relieved to see that the BRDC and Bernie Ecclestone have reached an agreement that secures the grand prix at Silverstone for the foreseeable future. Now he says, the industry must work hard to consolidate its position within the sport against threats from ambitious emerging nations. "Whenever we get a new grand prix there is always an initiative in that part of the world," says Brundle. "The reason they take on events is to sell that country's tourism, but a big part of what they want to do is initiative for technology transfer and home grown drivers. It's a mantra that I hear wherever I go and meet people at a new grand prix venue. "They know they need a local star to really make it work – the effect [Fernando] Alonso has had in Spain is all the evidence you need." Brundle adds that the junior British motorsport ladder, which has traditionally provided a talent-rich environment for young drivers to develop within, is beginning to feel the pinch as other alternative options become stronger. He believes it is vital for Britain's motorsport scene that its business leaders work to protect that 'cottage industry'. "I don't want to sound the alarm bells, but from what I see, hear and understand we need to stay on the case," says Brundle. "You look at Dallara in Formula 3, they completely took away an area of motorsport that the British industry dominated with Reynard, Ralt and Lola through the 70s, 80s and early 90s. 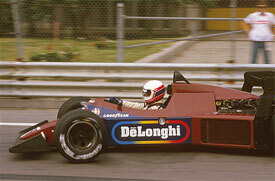 "I think it all goes hand-in-hand, the drivers, technology, the cottage industry of British motorsport. We have got something to shout about and if you look at next year's F1 grid there must be even more British teams than ever before, if they all make it. "I was at Toyota when they decided to go F1 racing. 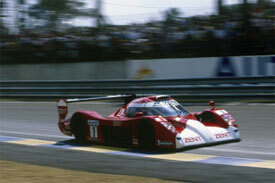 I was offered a really top job there by Ove Andersson, having been their lead driver in 1998 and '99 at Le Mans. I went to Cologne and looked around from a work, family and career point of view and it quite appealed to me to be sporting director in an F1 team. "I came to the firm conclusion that with the employment laws and attracting the right people with their families and schooling and all the basics that you need to think about, it couldn't work. I just didn't think it could get all the right ingredients that it needed – I think that has now proven out. "We have got something very special, there is a reason why British teams can dominate F1, can dominate Le Mans when they turn their mind to it. I think we have still got it and we need to make sure we protect it – because everybody else wants it." Which brings us back to ASI, an exhibition bursting at the seams with not just the best aspects of the industry, but also the sport, from the UK and around the globe. Brundle thinks it is the best at what it does, which is combine the needs of the fans and the business in one huge arena – or several halls of the NEC. "ASI is very clever in that it is a trade show and a fan exhibition," he says. "The two go hand in hand, and at the end of the day why does anybody invest in motorsport? Because of the fan base and the audience. One of my mantras is that 'If it's not for the fans, let's all race on a Wednesday afternoon and have the weekend off like normal people do.' We have to service those people. "What I like about the British fans in particular is that they are just as ready to hero worship Ayrton Senna or Michael Schumacher as they are Lewis Hamilton and Jenson Button. Okay they are patriotic, but the British fan base is generally interested in motorsport. They appreciate excellence rather than just waving the Union Jack. "It has always been that way here, they appreciate motorsport. So they need servicing and the industry needs servicing and the two come together. "There are other shows and other media forums that take place, like the Monaco one, but they have a more specific scope, whereas AUTOSPORT International has managed to bridge the gap. Everybody can turn up at some point and take something valuable out of the AUTOSPORT Show, or even put something valuable in." "Unfortunately you tend to get whisked around because there is a programme you are on and you can't stop and talk to everybody, and everyone has a burning question," he adds. "But it is good. It's good to see all the faces. "It's good for people to see what you look like and what you sound like, they don't always agree with what you think, but they like to hear it. You get to chit chat and sign some autographs, because unfortunately they can't do that in a Formula 1 environment. That's the only way it can be in some respects I believe, because you can't have 100,000 people in the paddock. "For Alex it's essential to get out there and get known," Brundle adds. "Racing drivers now are hidden, especially because of head protection. It's very important of course, but a racing driver is so buried inside a racing car now, because of all the protection, head-rests, HANS devices and dark visor how do you know what they look like? Who they are and whether you like them or not? Do they connect with you or not? "It is great for training with the media. Everybody universally acknowledges that you have to be good with the media to be a racing driver. You have to be good at selling yourself to the media and the sponsors and it's good for that. To be standing on stage, in front of a live audience, with direct questions and no time to think about the answers, it's brilliant for them." You can come and see Martin Brundle, F1 world champion Jenson Button, multiple Le Mans 24 Hours winner Allan McNish and a host of other stars at AUTOSPORT International from January 14-17. Click here to find out more about tickets and show times.